This will be short as an example of how a little effort can go a long way. 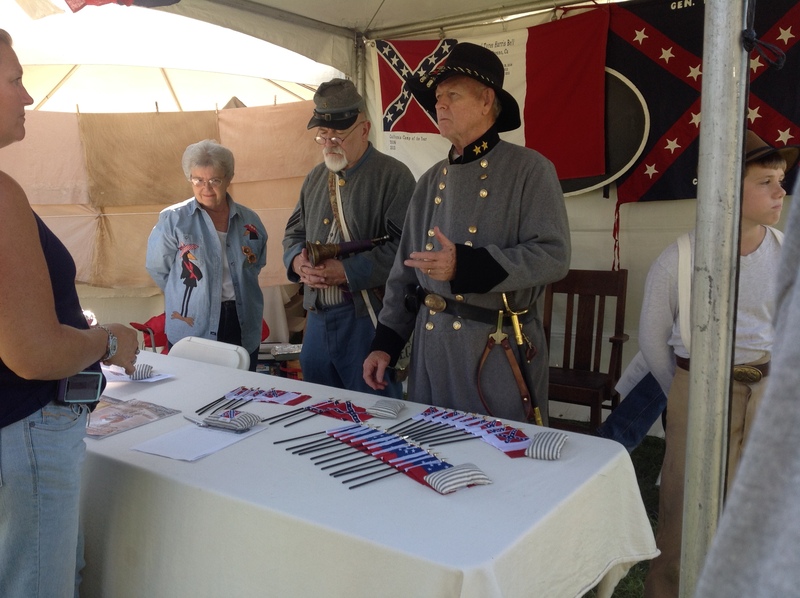 Richard Kline and Timothy J. Desmond explaining Confederate flags to visitors at SCV booth Oct. 18. 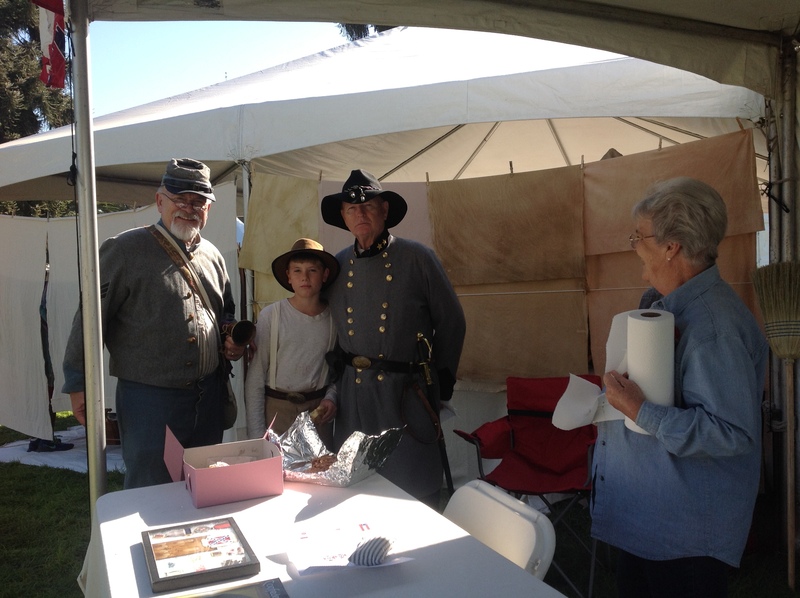 Richard, Evan and Papa at Sons of Confederate Veterans booth at Civil War Revisted even, Kearney Park, Fresno County, California. There is always more of course. This is not the last of the season’s events in California. While I would love to be in Franklin, Tennessee for November 30th and 150th Franklin, I have to settle for the Moorpark, California event on November 8 and 9, 2014. This is next to Simi Valley where the CA 118 West turns into the CA 23 South. It is at a different location this year at a different nearby ranch. This entry was posted in Uncategorized and tagged agent, author, blogging, California, Civil War, commerce, Confederate Veterans, conspiracy, control, daily blogging, domestic surveillance, economics, editor, government, history, inspiration, marketing, plots, problems, promotion, reenactment, regional topics, sales, Story, Writer by timdesmondblog. Bookmark the permalink.